Most children have some idea of what they want to be when they grow up, but by the time they reach their teen years what was once a fun question begins to take on serious undertones. 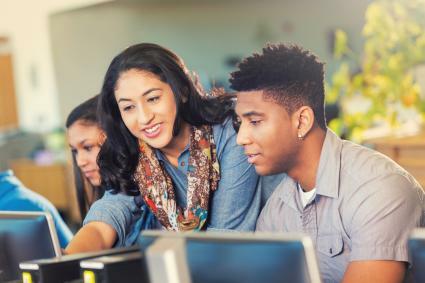 High school students, in particular, begin focusing on their post-graduation plans, including career planning. Fortunately, career planning while still in school does not have to be difficult. The first step in choosing the right career is to understand who you are and what you want in life. Where do your interests lie? Are you fascinated by how things work? Zeroing in on your interests will help steer you in the right direction for a career and choosing a path you're already interested in will keep you happier in the long run. Do you have any special talents? Do you love music or have a keen ear for musical pitch? Do you automatically arrange books in the Dewy decimal system? Special talents and gifts have a way of leading you onto the right career path. Are you inwardly or outwardly focused? Do you instinctively know that in order to take care of others, you need to be at your healthiest? Answering these questions will help you determine if you'd rather work with a large group or with a smaller one. You'll also see whether you'd like to focus on helping others or fly solo. What's important to you now? When you imagine your future, what does it include? Understanding your personal values helps you decide which elements of your career are most important such as proximity to your family or hours that work well when you have children. If you're feeling really lost or overwhelmed a free career aptitude test or quick career quiz can help you discover what field might be a good fit for you. Use the results as a starting point for your career research. Once you have an idea what fields you might like to work in or would be good at, you can further explore what those fields have to offer in terms of career options. When you finally decide on the area you'd like to focus on, head to your local library or do Internet searches until you find out everything you possibly can. You can never know too much and investigating a future career will give you a good idea of what the advantages and drawbacks are of that particular life path. Start by exploring the 16 career clusters most jobs can be categorized into. Make note of clusters that interest you and those that definitely don't. When you begin your research, start with the clusters that interest you most. Check out lists of cool careers to see if any are particularly appealing to you. Looking at specific jobs gives you an idea of what's out there and may expose you to careers you didn't know existed. Understanding what employers today are looking for helps you see what skills you already have that are desirable and which you'll likely need in any career. The Bureau of Labor Statistics publishes periodic reports about the current U.S. job market including employment rates and occupational fields that are growing. A look at the hottest careers shows you where you'll find the most competition. After exploring all possible careers, you'll need to narrow down the results to at least a field, if not a specific occupation. Come armed with a lot of questions. Don't be shy and speak up if you disagree. Ask for the counselor's opinion and really listen to his or her answer. Don't get discouraged if you hear something you don't like. Many people have been told by a guidance counselor to go down one career path, only to end up on a completely different career path. All final decisions are up to you. From your high school courseload to deadlines for creating a final resume, setting goals will keep you focused. Use a free printable checklist to write down your goals. As you complete tasks and reach goals you can check them off your list. Make it a point to sit down with a trusted adult once per month to assess your goals and your progress. If anything has changed, adjust your goals to reflect that. 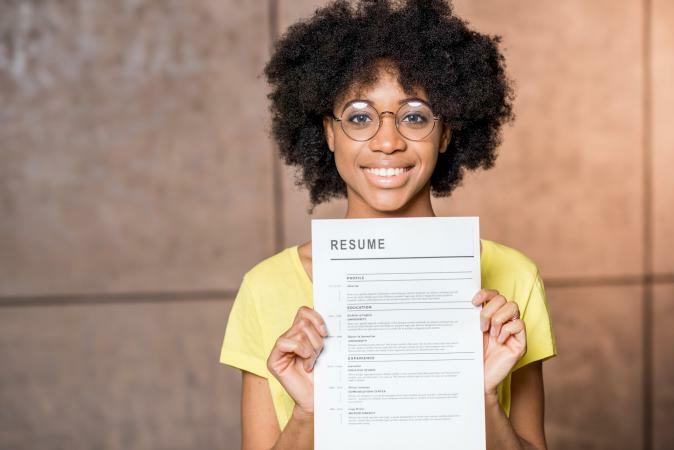 Gaining experience in your chosen field can help you see if it is the right path for you and build a strong resume to impress colleges, specialized education opportunities, and employers. If any of your interests or talents are offered by way of coursework, then sign up for those courses. This can mean AP English, AP Physics, and the like. However, it's not all about AP courses. Specialized classes in music, theater, art, newspaper, etc. will all help in mapping out your career plan. Join clubs that you have an interest in. They may come in handy in unexpected ways like if you and your future employer took the same auto mechanics class in high school. It's little things like this that may help you get your start in the working world. Be pleasant, engaging, and helpful around your teachers, family friends, employers, co-workers, and other adults. Little things like this can put you in line for stellar recommendations and come in handy when you apply to colleges, trade schools, internships, or jobs. Anything a potential admissions counselor or employer will ask for or might see in searching your name needs to show you in your best light. Create one professional account, such as a Linked In profile, that you can offer to potential employers. This shows you are proactive and responsible and may just keep them from searching your other pages. Change the settings on your accounts so they are as private as possible. If all an employer can see is your cover photo, your profile photo, and a few public posts, you can make sure these items are appropriate for the image you want to portray. Consider deleting old accounts that may contain inappropriate photos or posts. While they may live in Cyberspace forever, you'll show a sense of responsibility in making them inactive because they no longer represent who you are. Internships are a great way to gain real-world experience while you're still in school. Most internships are unpaid in monetary terms, but many offer course credits. 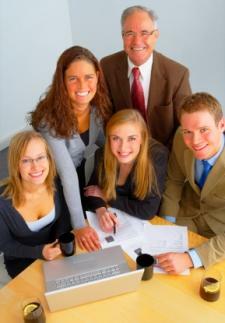 Besides the credits, having an internship can be a huge payoff in the long run. Not only will you have practical experience in your chosen field, but your prospective employer will see that you are focused, serious, and determined about your career path. If you'd really like to get a jump on your future career plans, finding a part-time job may be just the ticket. Try to tailor your search to the area you'd like to eventually work in and when on the interview, be sure to mention that to the prospective employer. You are the person most qualified to make decisions for your life. It's perfectly acceptable in the professional world to ask for a day or two to think about the decision. You don't have to stick with this program or job forever. Everyone makes mistakes, but if you learn from them they are still valuable. Participate in community service and help your community grow. Look at things you like and consider how they get made and what careers might be related to them. Talk with adults in your life about their career path to see the many possibilities. Consider that the career path you choose now won't necessarily be the one you follow for the rest of your life. Career planning may seem like a daunting task, but it doesn't have to be. There are practical steps you can begin to take right now that will help get you in line in terms of your future career. Think carefully, plan your next steps wisely, and you'll be able to enjoy the career of your dream sooner than you think.